CheckMarkets survey platform is used by many government agencies, large corporations, small businesses and individuals all over the world for everything from customer satisfaction to employee surveys. Pros: It is easy to use, has a lot of features and the support team is easy to reach and helps you wherever possible. Cons: The difficulty to change the lay-out of questions and the invitation mail. There are some buttons, but the options are limited. Overall: It does not require a great deal of software skills to use CheckMarket and programme your online survey. Furthermore, if anything does not turn out the way you planned, the CheckMarket team is ready to guide you through the software and show its possibilities. While the lay-out options are rather limited, each survey is appealing to respondents and yields a good response rate. The possibility to send a reminder to participate is a great feature that contributes to a high response and so are the tips and tricks that are posted online. Recently, our company also used the CheckMarket panel to survey a representative sample of 1 000 persons. We could monitor the response in real time and were able to close the survey after 10 days while it would have taken us weeks to reach the same group of people through alternative channels. It is definitely worth considering this way of distributing your online survey when you are looking for a high response rate among people with a certain profile in a short period of time. You can achieve great results by joining forces with the CheckMarket team! We use this tool for various trainings and events. Thanks to its ease of use and customizations we saved a lot of time and achieve a greater professional appearance. Cons: If you make changes or corrections in the invitation mails, you have to click often to make the same changes in the remindermails. Pros: Very flexible to build surveys exactly for our needs. Userfriendly/easiness to use. Possibility to learn and work out logics/solutions oneself. 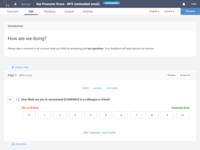 Wide range of possibilities to improve layout and improve the experience for the people who will receive the surveys (question embedded in email, layout, personalizable email address and fields). Online formulare was built by the customer service team for us and combined with one survey, in order to make it easy for various internal teams to access a common survey and send surveys individually as when they need to - without even logging into the system. Excellent experience with your customer service who are very friendly and professional, trying to investigate/help straight away, and this not only now as we are clients (having purchased the license) but even also already during the set-up process and pilot phase with the free license. Cons: At the moment I cannot even think of anything better. Overall: I am extremely happy and satisfied with the Checkmarket tool and Customer Service so far. Keep the excellent work. Pros: Very user friendly and functional software. The helpdesk is easy to reach during office hours. The helpfulness of team is very good. Clear and often useful advice. Cons: The options are not always flexible in programmation and/or output needs. For complexe skips on the questionnaire or specific needs in our exports we use workarounds instead of finding the solution in the software directly. Pros: The CheckMarket software provides strong support to the organization of our school. We use the tool for registrations and evaluations of activities/events. The tool is very user friendly. The creation of a CheckMarket survey is easy and the tool offers a wide choice of response options. For the respondent it's an easy tool as well. The tool has different features that standard tools often don't offer. For example, it is possible to set up a maximum amount of respondents or to adapt the data after the survey is launched. Therefore our educational institution is a very happy customer! Cons: If the software could be offered in Dutch, that would be an advantage. Pros: Out of the gate, the software contains most every option required for managing your surveys. Additionally, the service comes with a simple use based licensing scheme. However, the best part of the experience is CheckMarkets support process. Things do not always go perfect with commercially available software. An organizations ability to re-mediate issues quickly is key . and that is definitely where CheckMarket excels. Time between support request and resolution (whether it is a user knowledge issue or something that requires CM development involvement) is definitely more efficient than other vendors we experience. Cons: The use of images in surveys could be more intuitive and efficient. With the documentation it did not take more than a few minutes to figure it out, but definitely room for improvement as it is a multi-step process. 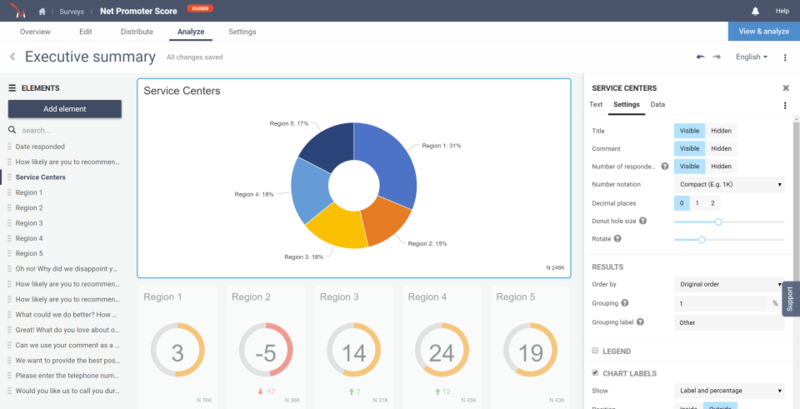 Overall: Ability to manage surveys for multiple client engagements efficiently. 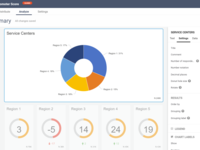 Pros: One of the best survey tools with many personal customization capabilities, you can do as per your personal choice and the user interface is very easy to understand. Cons: Working with too many questions can be a little frustrating for the respondents as we need a genuine and detailed information from them. Pros: We can have better control over where our data is housed. The controls for design are fairly intuitive and easy to learn. The reports are attractive and easy to interpret with many options as to how to display the data. Online sign in is convenient. Cons: The limits on respondents based on the plan purchased could be an issue for some organizations. Some of the more advanced customization controls during survey construction are a bit clunky and could be refined further for a better user experience. Pros: Ease of use to start a questionnary. You don't have to wait for a validation or confirmation. Some difficulties while switching between different languages in one questionnaire. You can't just copy a list of answers any more. 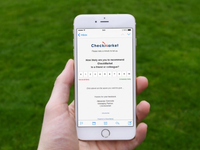 Overall: Almost all of our questionnaires are organised with CheckMarket. Pros: The customer service is the best thing about this product. Even if I don't understand something at once, I am only one call away from the solution. They are very friendly and really patient, even if I have the most stupid questions! Cons: If I want send a mailing from CheckMarket to track the surveys, it might come in the spam inbox. Overall: I use it internally & externally. It looks professional and it's efficient tool overall. Cons: Limited availability of programming options such as auto coding and analysis options such as crossing by several variables in a multiple answer question excluding double counts. Overall: Your tool is great and provided me with options that are unavailable in other basic survey tools. However, there are certain limitations where I was inconvenienced. eg: auto coding of questions were not possible, not possible to avoid double counting when crossing by several answers-> this is important when we filter respondents using a multiple answer question. Pros: I enjoy how simple this software is to use. It is very straightforward and I had no issues creating effective surveys for feedback. Cons: I always seem to think that any survey software would benefit from having some type of way to add further customization options, such as adding images, sound clips, or something along those lines. Not always necessary to make a good survey, but could definitely give a competitive edge. Overall: I've had next to no trouble from this software. Need to make a survey? Look no further. Pros: The agility and the pro-active and fast customer service. Cons: Once tailored programmed has been done, the survey is locked, making changes afterwards less flexible. Can't be anything else but positive. Perfect tool and even more perfect customer service. Pros: Low costs, easy to use and great support within the tool and if that's not working perfect support from customer service. Very friendly and flexibel people. Overall: It's easy to use and almost everything is possible. When you need help, the customer service always responds within the hour. Pros: It's easy to use and the customer support is amazing and fast (even when you're using the trial version)! There are no pushy sales people involved and the pricing is super simple. The features that you get apply across any plan you purchase. Cons: I haven't encountered anything that I dislike about the software. So far everything seems to be going well. Overall: This tool gives you in a split of a second an overview of the results of the survey you launched. When you encounter a problem, a great team of reps takes care of a persistant follow-up and a tailored answer/solution. The support is definitively one of their strongest point. The product itself is very usable. Pros: The support. Also the tool is overall very nice to work with and feels very 2017-ish interface wise. Cons: The lack of advanced functionalities beside branching - way more control over the surveys would make it even more powerful. Comments: I've been working with CheckMarket for over 3 years now, and from the beginning I've been very satisfied with the tool. I always receive rapid and knowledgable responses from the support team: they are always on hand to offer insights and help improve the quality of the surveys. They are also very helpful when it comes to making (sometimes quite a few!) changes to a survey just before publishing or helping implement a new style following a rebranding. 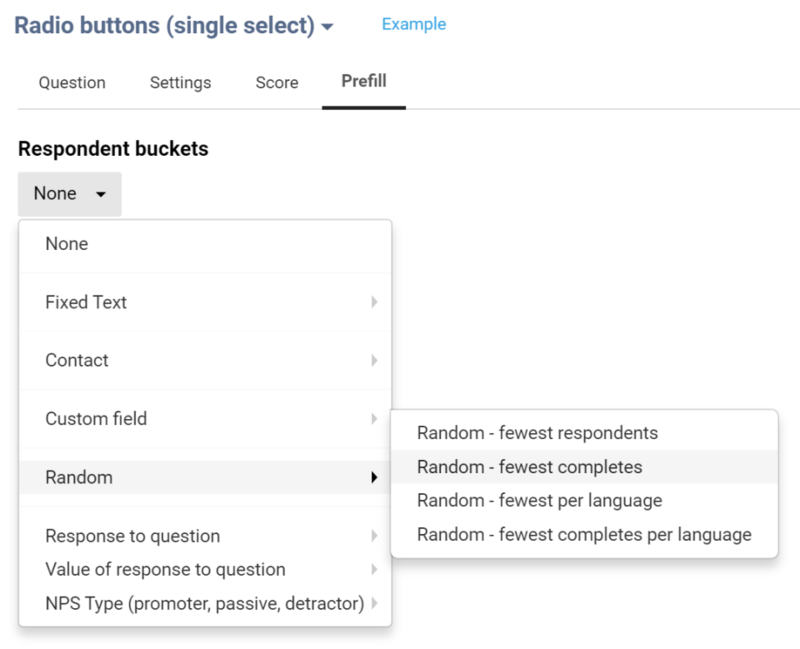 The ease of use of the tool is something I appreciate a lot, especially when there are so many things going on in one day - setting up a survey, even in multiple languages is quite straightforward. Overall, I'm extremely happy to be a CheckMarket customer! Quick, easy and powerful, great service included! Pros: It is very easy to use the tool online. Survey's are set up in no time and if you do have some questions, customer support is very helpful and quick to give you an answer. Cons: The graphical user interface (GUI) is not always as intuitive. Translations between survey languages is sometimes more laborious because they cannot be displayed alongside eachother. Pros: Elegant layout, standardized ease of formatting text some city departments are very happy with the multi language translations. User friendly tool with great helpdesk. Pros: I'm very satisfied with the tool and for the support the CheckMarket team provides for questions and problems. Overall: gives us the data we need. Cons: Templating for surveys and mails could be easier. Customer support does help with this, but when you want to do it by yourself, you have to know a lot of code. Pros: There are some incredible capabilities in this software. We have juggled through multiple survey software and this is arguably the best we've had. The capabilities are endless. Cons: No real issues for me. I suppose it could take time to learn the software, but it is easily worth it. 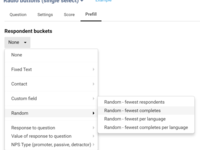 Overall: Very easy to use surveytool with lots of options. 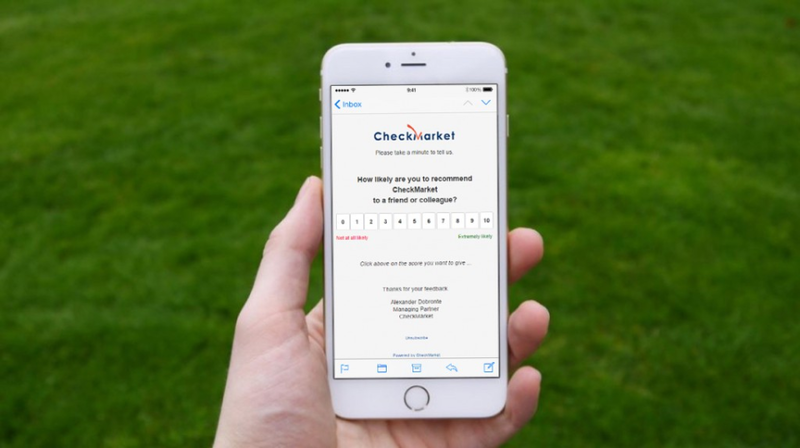 We use CheckMarket for various surveys, from very simple to longer and more complicated. The tool is very easy to use and results are easy to analyse. Checkmarket enables us to do more research in less time. 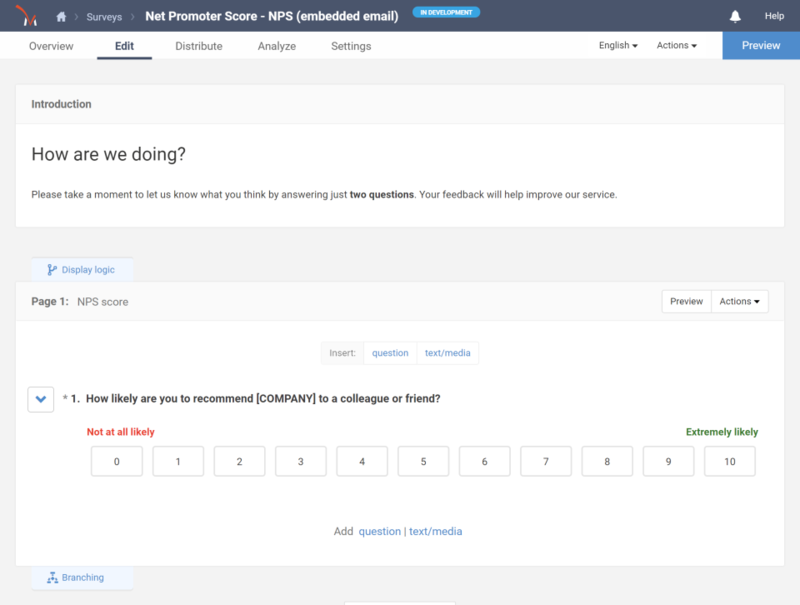 Overall: Checkmarket is a great tool to program your survey online, manage your respondents database, follow survey progress and export the responses for further analysis. Pros: It's ease of use when I have to train others implementing surveys. Each User has their own account and cannot see the other surveys. A huge benefit of this software is that it continuesly improves. 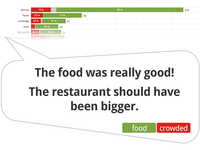 Comments: To move from papersurveys to online surveys, sometimes it is a bit difficult, because on paper you can make complicated matrix questions to save space. When these surveys are validated, sometimes it is difficult to make the questions exactly the same as the question on paper. And for our clients it needs to be exactly as on paper. another suggestion would be, that the software would be able to use a negative extraction. Overall i am very pleased to work with this software. Comments: Of course making my first survey required some time to familiarise with the tools. But still it was more effective than without the tool and the real gain came with the second survey. The tool provides lots of possibilities and mostly the help desk react really quickly. The survey I worked on in the night kept blocking, but the next morning, by the time I finished breakfast the helpdesk had solved the issue and on the fly provided some tips on further optimising my survey. Overall: Checkmarket is a really "ready to use" tool with a fantastic support behind. We use the tool almost for all our customer research, from a small easy survey to a big and complex research project. Pros: What you see is what you get. Cons: The channeling starting from answers instead of questions. Overall: Even though there are plenty of options, it remains clear and easy to use. It's very intuitive to use. Recommendations to other buyers: It could be more attractive for the respondent. Pros: Tthe platform is accessible for an average computer user, and above all: the service and support are FENOMENAL. Cons: The text processing could be more smooth and extensive. Easy to use & good looking tool to contact group a of people (intern & extern)! Super Support Team! Pros: The service is incredible. The Product works very intuitive and looks good. Comments: We chose CheckMarket as a tool for our loyalty survey because of ease of use, visual analytics and transparent + competitive pricing. From the beginning our decision has proved right. We have been met with excellent support and a willingness to cooperate and together improve our survey setup. CM has top notch support also on the tech side. Super value for money and a pleasure to work with. CheckMarket excel in their customer service! 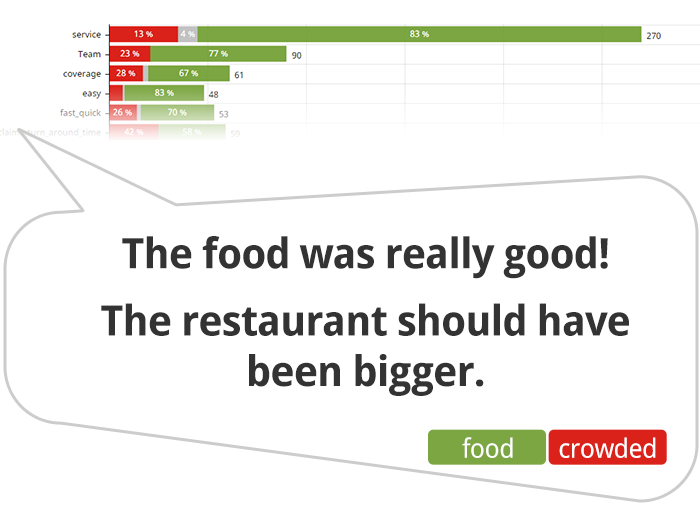 Comments: We are very happy with using CheckMarket, easy to set up surveys and analyse results. Of course you have to get in to how to do everything, which takes some time, but once you get the hang of it is user friendly. CheckMarket's service level and support is excellent - always a very fast response in a friendly tone. This is very important for us, that our requests are solved on time. Comments: Pro's: Good service, wide range of possibilities, easy to use graphic exploration of your temporary data. Very good integration with SPSS / CSV files. Excellent customer service and support. Cons: Graphic customizing possibilities could be a bit better (different knobs and buttons, use of buttons of your own, ...). The design and look is very cutting edge as for today. Comments: Making a basic enquiry works really very intuitive. In no time you have an enquiry. If you have an event that you organise regularly you even can reuse an already existing enquiry, do some adaptations and put it online. We are very satisified customers. I would like some more possibilities to automatically process the results (in case of a more complex enquiry). A great software which probably offers the best value for money. Pros: Very intuitive, simple, with enough options and features. The best thing if you'd ask me is the fact that the helpdesk consists of REAL PEOPLE picking up the phone, who're very keen to help you out with anything. I like this! Cons: In some cases, it doesn't have the features which very expensive software do have. But then again, value for money is really high at CheckMarket! Overall: Easy to use with enough features for a very good price! Comments: We are using Checkmarket for several years now and we are happy with the service. We receive immediately an answer from support, the follow-up well on our requests and the system is easy to use. We use however the system for a more complex purpose and this is not always ideal. the reports for example are not easy to adapt (i.e. the headings). Comments: Excellent service, software easy to use, even without any experience. Helpdesk very Professional. Excellent price/quality. Comments: Our compagny works for several years with CheckMarket and the survey creator is really great. The application includes all the basic features you need, it's easy to learn and easy in use. The knowledgebase and customer support are very usefull. They have a solution for every problem and are willing to help! Easy to use and mange - great software! Comments: We use CheckMarket with different users. Every week we send a number of small or large surveys . The platform has never abandoned us. It is easy to use and has enough features like several types of questions, extensive reporting and customization options. Fast and helpfull support. Thanks, CheckMarket! I recently tried Survey Monkey but I feel CheckMarket is much better. Pros: Easy to use and great customer service. The response to my questions were great and quick. The team explained my concerns very well with good solutions. Cons: Some minor features such as how to layout your survey (Separate Titles) could be improved. But overall it appears to be a good alternative to other Survey companies. Overall: This is my first attempt to use the software and I will be able to provide a better response in a week. Comments: You don't need to loose time with the technical aspects of the pgm. Just write down what you need and in no time the team of check market will realize what you expect. Not only they can help you with the questions but also with the layout. I would appreciate a layout a bit more contemporary.